Cinema 4D Release 20, the newest generation of Maxon’s leading 3D software, has numerous new high-end tools and features for VFX and motion graphics artists: the node-based material system offers users new functions for comfortably creating materials; MoGraph Fields offer new methods for creating spectacular procedural animations; Cinema 4D also supports seamless drag-and-drop import of common CAD formats; the OpenDVB-based Volume Builder and Mesher make it easy to create complex models using primitives and polygon objects – and ProRender now also supports Subsurface Scattering and motion blur. Cinema 4D R20 speeds up users’ workflow and offers more creative possibilities than ever before. Read more about all the great new features in Cinema 4D R20 here. Which version of Cinema 4D suits my needs? Cinema 4D Prime is the entry-level version of Cinema 4D. Renowned for its ease of use, speed and professional results, it is an ideal choice for graphic designers looking to add 3D to their toolset. Cinema 4D Broadcast has everything you need to create dynamic broadcast graphics quickly and easily. If you are a motion graphics artist looking to add 3D to your existing suite of tools, then this is the ideal choice for you. Comes with limited network rendering using Team Render. Cinema 4D Visualize provides everything you need to produce fantastic images and animations quickly, easily and to any level of realism. Suitable for product designers, architects or anyone who wants access to the best native render solutions Cinema 4D can offer. Comes with limited network rendering using Team Render. Cinema 4D Studio is the very best that Maxon has to offer for professional 3D artists. If you want to create advanced 3D graphics but need a helping hand to ensure you create jaw-dropping graphics quickly and easily, then this is the choice for you. Cinema 4D Studio offers unlimited Team Render network rendering. Have a look at Maxon's full product comparison chart or contact us for more information. 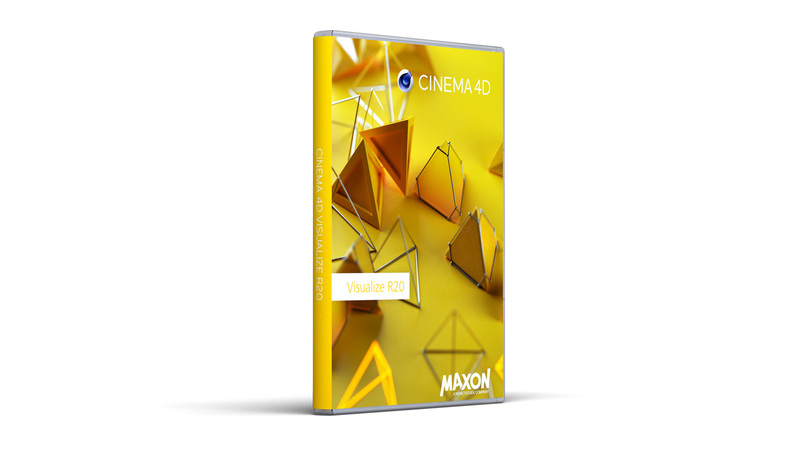 Maxon Cinema 4D licenses are delivered electronically by default, downloaded from Maxons ePortfolio. If you wish a physical media you can additionally purchase this USB memory stick. Perpetual licenses of the latest version of Cinema 4D Prime, Visualize, Broadcast and Studio are available for purchase. Maxon’s perpetual licenses are available as single licenses (node-locked) or multi-user licenses (floating). Perpetual licenses are delivered by mail (not electronically). 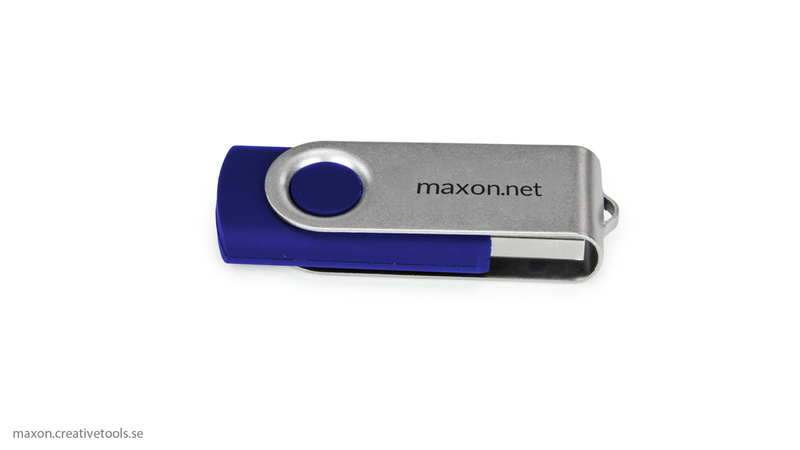 If you want a physical shipment of Cinema 4D, please also add Maxon - Media USB Stick to the cart. The Maxon Service Agreement (MSA) is optionally available as an add-on service for perpetual licenses. MSA provides you with the newest releases of your Maxon software. If you have an older version of Cinema 4D, without a valid MSA, you can also purchase an upgrade to the latest version. Short-term licenses for Cinema 4D Studio and Cinema 4D Prime are also available. These licenses are valid for three or six months and are available as single workstation or floating multi-licenses. Plugins that require the use of serial numbers can also be used with the short-term licenses. Short-term licenses are delivered electronically (download). The short-term licenses are not a subscription of the software, they are restricted to a pre-defined time period and will not be automatically renewed. Although, you can choose to extend the short-term licenses for three or six months if you wish. Read more about Maxon's Short-Term Licenses here. Depending on your needs, Maxon offers both a completely free version called Cinema 4D Student and the extremely affordable Cinema 4D Student/Teacher version. They are both valid for 18 months. Please visit Maxon's website for information about the differences between the payable version and the free version. The Cinema 4D student license can be upgraded to full commercial version at attractive pricing. Please contact us for more information. The Maxon Service Agreement (MSA) is optionally available to Maxon customers and provides you with the newest releases of your Maxon software. As soon as a new version of your software is available, you will automatically receive it, which allows you to take advantage of all new features and advancements. MSA also provides enhanced install rights that allows you to install your license on two machines; for example on your desktop at work and your laptop at home (as long as you don’t use both at the same time). We highly recommend adding MSA as it is both more convenient and more affordable than upgrading your software after a new version has been released. Maxon Service Agreement runs for 12 months at a time, and we will contact you before the contract expires so you have the opportunity to decide whether you want to renew your contract or not. For educational institutions and production facilities managing multiple licenses of Cinema 4D and BodyPaint 3D, Maxon offers a robust license server technology that makes the management of numerous licenses and groups of licenses with various configurations a breeze. Note: Floating licenses of Cinema 4D and BodyPaint 3D require a Maxon License Server (or Reprise License Management (RLM) Server). See the complete list of system requirements for Cinema 4D / BodyPaint 3D here. Would you like to evaluate Cinema 4D before purchase? Download a trial version of Cinema 4D R20 here. Laubwerk Plants are high-quality, customizable 3D tree models that save time and look great. With dr..
Light Cinema 4D scenes faster with HDR Light Studio. Unleash your creativity and raise image quality..
Xfrog is a Scientific Academy Award Nominated procedural organic 3D modeller that allows you to crea..
AXYZ Design Anima 3 is the fastest standalone crowd animation software in the archviz industry, deve..
Upgrade of Anima 1.x or Anima 2.x to Anima 3.About Anima 3AXYZ Design Anima 3 is the fastest standal.. Creating seamless textures for complex 3D objects with bumpy surfaces can be very time consuming. 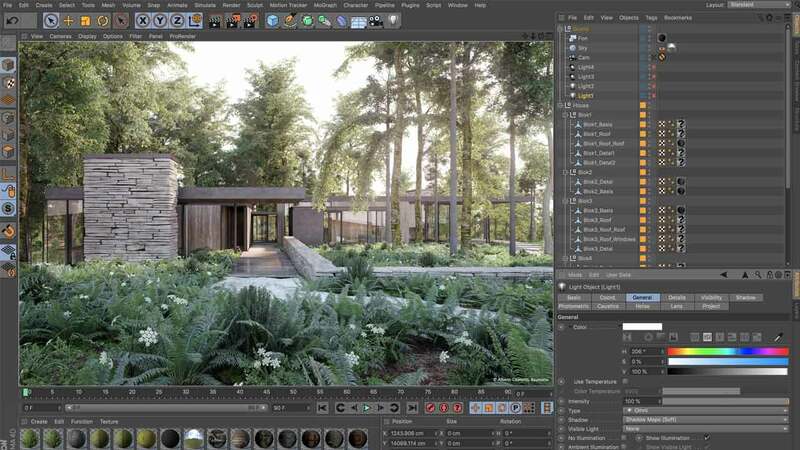 MA..
V-Ray for Cinema 4D is a production-proven CPU & GPU rendering solution for animators and creato..